Just about everyone knows what a cockroach looks like: they are everywhere. While it is often jokingly stated that if anything could survive a nuclear war, it would be a cockroach, the idea is clear – they are real survivors. The four main species and the American, German, Asian, and Oriental cockroaches. These vary in size from about 1/2 inch (German), up to 2 inches (American). In America, the species that is most common in homes would most likely be the German variety. The presence of cockroaches can lead to a definite impression of uncleanness – especially if your guests see them. 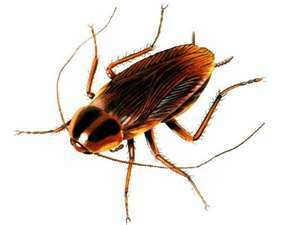 Contrary to popular belief, a cockroach infestation is not necessarily an indication of poor hygiene. However, an untidy environment will make it all the more difficult to get rid of them. The presence of cockroaches can also lead to health problems, including asthma in children and they also spread Pink Eye. If you spot a cockroach at home or work, there are likely more of them concealed nearby. Contact a pest professional to avoid letting an infestation get out of hand.